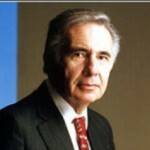 Carl Icahn was born in Queens, New York City. He is an American businessman. He is the majority shareholder of Icahn Enterprises, a diversified holding company. He graduated from Princeton University with a Bachelor of Arts degree in philosophy in 1957 and then joined New York University School of Medicine, but he dropped out after two years to join the army.